Somehow I missed the item that Johanna Ware was spinning off a lunch/event spot across the street from her wonderful smallwares/barwares restaurant. 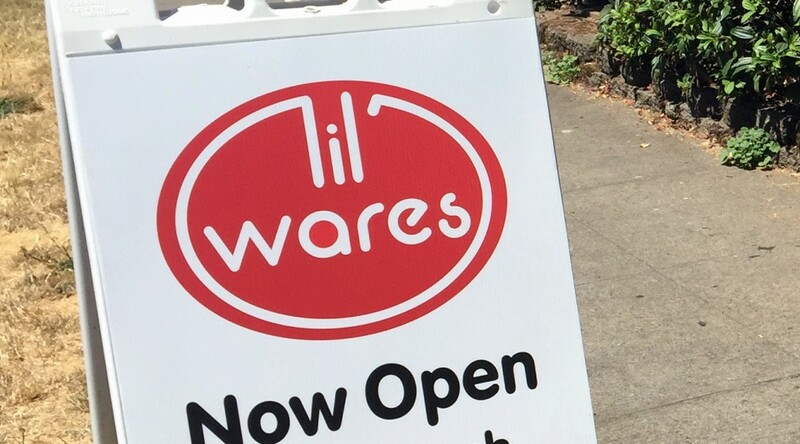 The lil’ wares summer-long pop-up is in the former Red Fig Cafe, a bungalow with a 30-seat shaded patio on Fremont St. in NE Portland. I was excited to enjoy it as I am always looking for a great lunch spot and I love Johanna’s “inauthentic Asian” cuisine. When the weather is too hot, windy or rainy I far prefer a sit-down restaurant to a food cart. 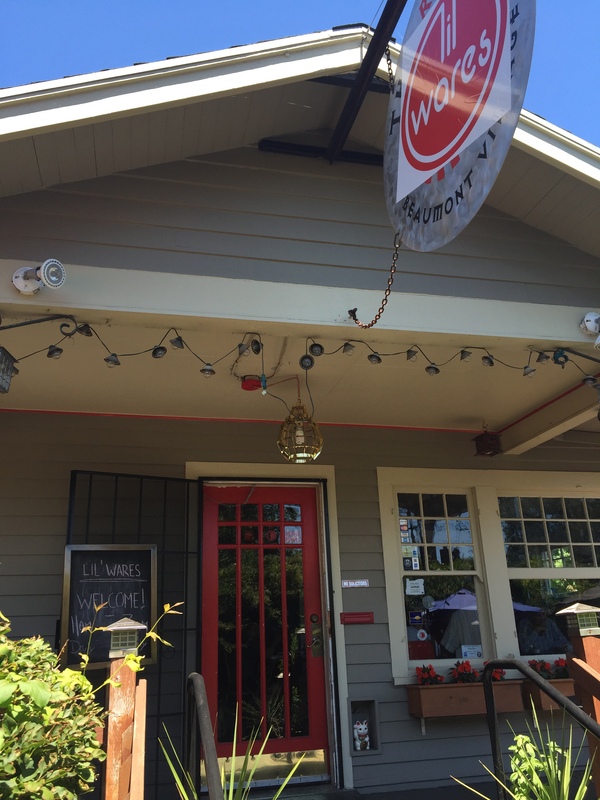 So I kicked off July on a near-100F day with lunch at lil’ wares. They are open 7 days per week from 11 am – 3 pm. 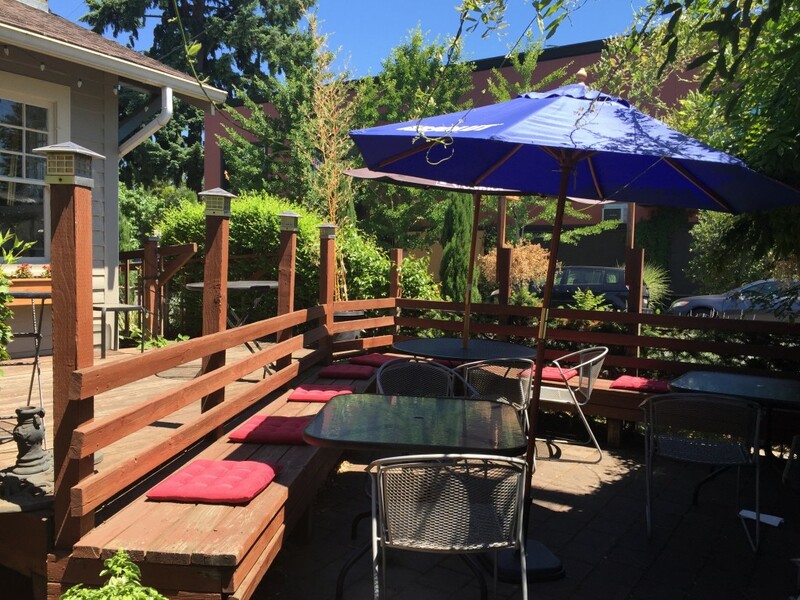 The smallwares weekend brunch has moved over to lil’ wares for the summer. The focus is on grilled items. I was happy to discover that the dining room inside the converted bungalow was air conditioned. The server was friendly and I settled into one of the two-top tables. There are other tables set for 4 and a small counter bar, in addition to a variety of patio seating. The space is available for hosting events as well. I settled on the General Tso Sandwich – fried chicken, broccoli slaw, thai chilies and fried shallots. I also ordered up a Thai iced coffee (without the additional rum). They have a full beer, wine and cocktail menu. 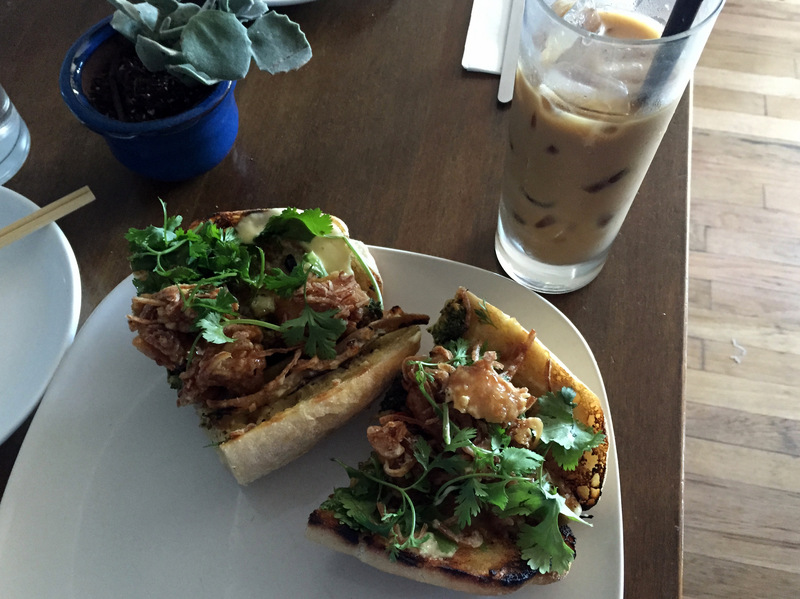 The sandwich arrived on a toasted roll like a great banh mi. In fact, a lot of the elements made it pretty much a banh mi with spicy sauce, pickled veggies, lots of cilantro and tasty chicken. I thoroughly enjoyed it. The price was great and from seating through check the lunch took under 45 minutes. I was happy to see plenty of other customers arrive by 12:30. I look forward to exploring more menu items. They definitely vary from the smallwares offerings, but pack the same big flavors from a variety of asian influences. Since retiring from the day job, I want 3 or more cups of coffee in the morning rather than two, so I could drink a full pot. I’m bored with the flavor I can get from commercial K-cups. They cost more and give you less flavor than buying good beans. Disposable K-cups create a lot of non-recyclable trash that I should feel guilty about. 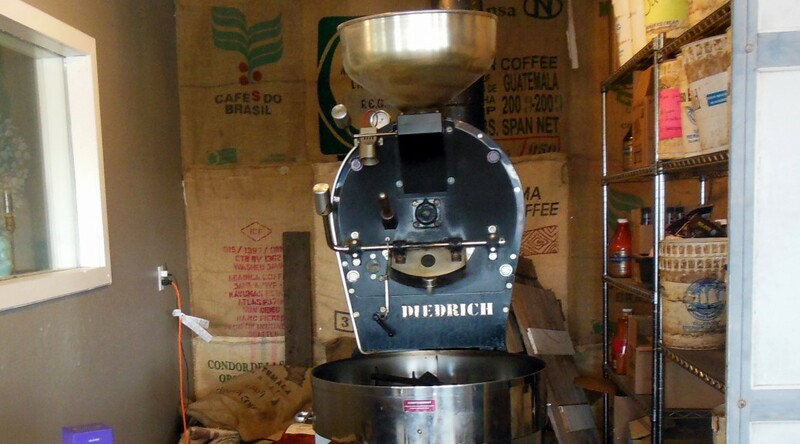 I want to explore our local coffee roasters and try different beans. I’ve been grinding beans and filling a refillable K-cup, but my old Keurig machine doesn’t always like how I filled it. It would be less work to use a traditional drip brewer. I made another search for my old coffee brewer and found it was still in working order. It’s an old Starbucks-branded coffeemaker with a thermal carafe. It has a permanent gold filter basket so I don’t have to bother with paper filters. I wish I lived in walking distance of a coffeehouse other than Starbucks (there are three of them within a 30 minute walk of my house). I am not hostile to Starbucks, in fact I love them as I use them often for restroom stops during my walks. I just hate waiting in line for coffee. The only independent coffee shop in walking distance makes only espresso, and I find their Americano to be astringent and not very pleasant. But I am now free to buy beans at local roasters such as Compass Coffee in downtown Vancouver, or pick them up on my excursions at places such as Long Beach Coffee Roasters. 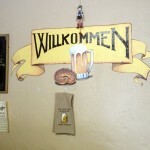 We love us some schnitzel and spaetzle. We had Otto & Anita’s Schnitzel House on our radar for a long time, but never could quite make it to Multnomah Village to try it. Finally, we both were working on Pill Hill on a Friday, the traffic back to Vancouver was insane, and as we mulled our options we remembered Otto & Anita’s. They have been slinging schnitzel here for decades. But they are at an odd corner and are easy to overlook. Everything is handmade with their own recipes, and very much old-school. Great, that’s the way we like German food. I’ve tried to like the schmancy Gruner but it just doesn’t satisfy like Rheinlander/Gustav’s. The decor at O&A is a simple diner, with murals on the walls. 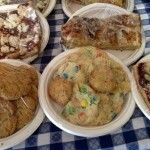 A table full of pastries and cookies you can buy to take home greets you in the atrium. 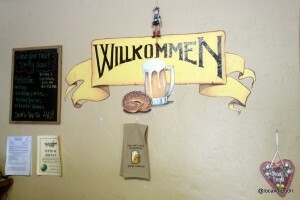 The place is cellar-like, which is well-suited to German food for me. We started off with a good house Riesling from the Mosel, one of our favorite places on earth. They also have beer, but there was no beer menu to choose from. Immediately, fresh hot house-made rolls arrived. 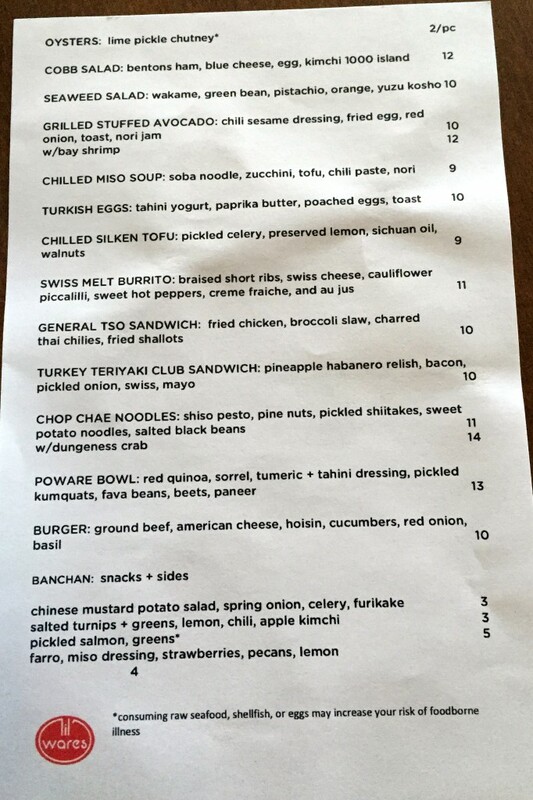 I’ve missed the disappearance of bread service from the Portland food scene. Not only was this welcome, they were super rolls and the whipped butter went well on them. Bread and wine on the table, I’m super happy. Our server spelled out the specials and we chose two that are probably often offered, as the Swiss Chicken appears on their banquet/party menu. 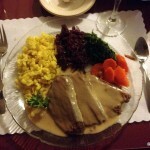 It’s a chicken schitzel topped with a cheese fondue sauce and red wine sauce. I had the tri-tip sauerbrauten. It was very good. I’ve had some that was too sour at other places. This rendition allowed the spices to come through, and the sauce was tasty. The spaetzle was soft and flavorful. I really enjoyed the red cabbage, spinach, and cooked carrots as sides. 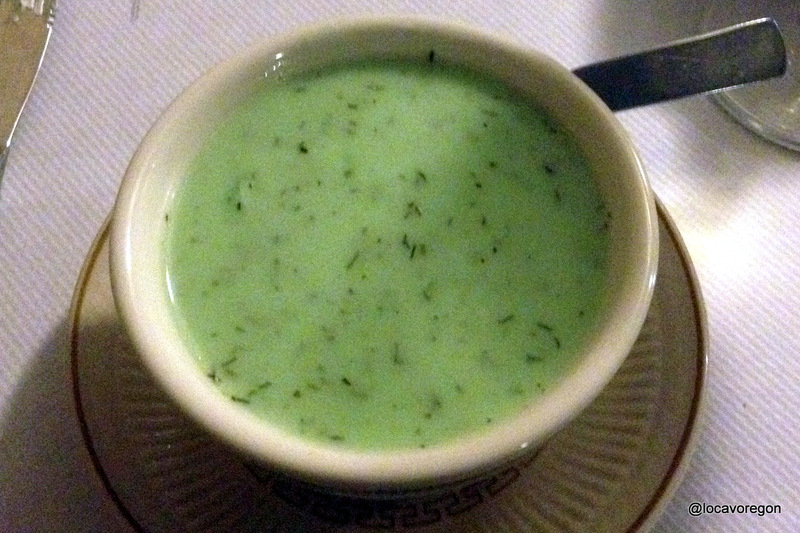 No review of Otto and Anita’s will omit the dill pickle soup. It was super. 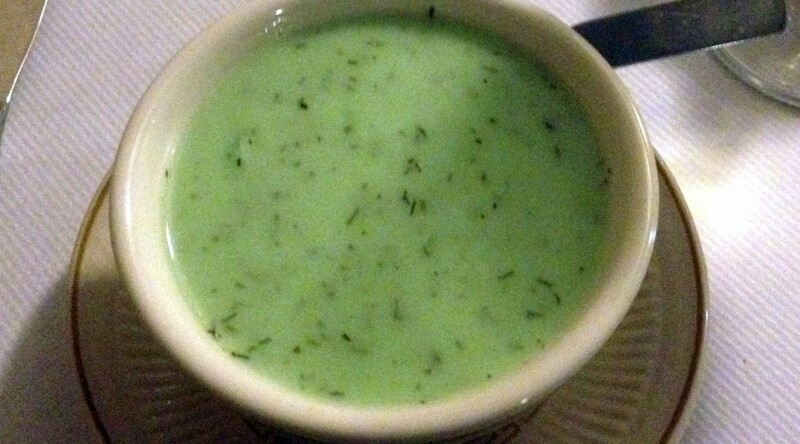 It’s a cream soup with onions and dill pickle. 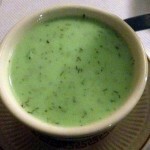 They have the recipe for you on cards at the table and on their web site. I could easily stop in just for soup and bread and be a very happy Bavarian. We didn’t have room for dessert, much to our regret. Next time — soup, bread, wine or beer and dessert. If you’re looking for homestyle Bavarian food, this is a satisfying stop for lunch or dinner. I would still give the nod to Rheinlander/Gustavs, as they are more convenient for me and their fondue would be my choice as a last meal. In fact, I have it at the airport location before any big trip, just in case the plane goes down. I had a fantastic preview dinner at John Gorham’s Mediterranean Exploration Company. They have their soft opening next week, starting July 16. Go. Bring friends so you can sample as many dishes as possible. I was really pleased to learn that they will be taking reservations. I’m just not an easy-breezy person who can plan for friends to arrive from all points of the city and not get a seat for two hours. Much as I love Gorham’s Toro Bravo, that keeps me from going back. And I’ve completely written off ever going to Ox. The food – read my review at Examiner.com, with lots of photos. It’s hard to choose a favorite dish. But if they end up on the menu, don’t miss the radicchio, lamb ragu and lamb chop. Order the bread. Order lots of the bread to sop up the great sauces. It will also be a very noisy place, so don’t plan any intimate conversations. You will be yelling in each others’ ears rather than whispering sweet nothings. But much as I prefer a quieter setting, I will happily endure this for the fantastic food at MEC. 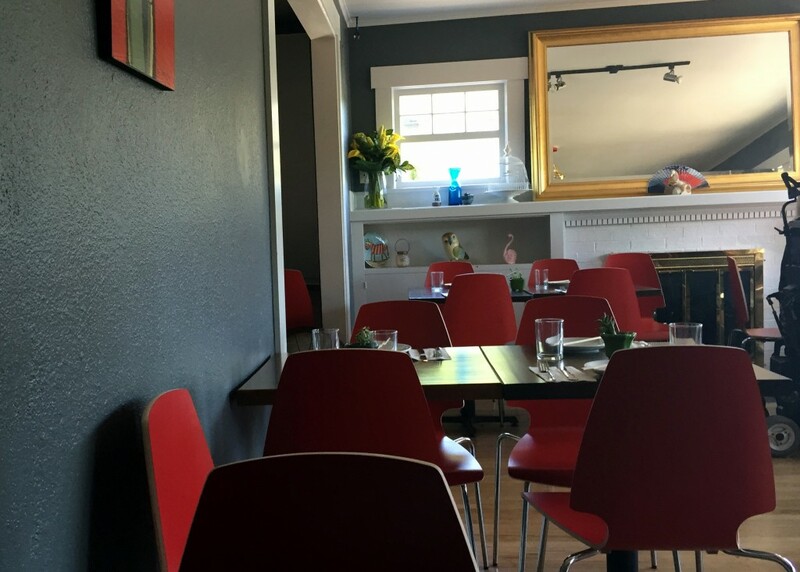 Genoa is a venerable outpost of fine dining in Portland. 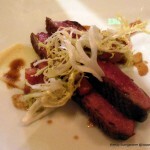 Their usual tasting menu serves up five courses for $70. I hadn’t yet had the chance to dine there since Jake Martin took up the chef’s apron, following in the footsteps of chefs such as Cathy Whims and David Anderson. 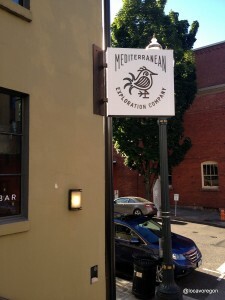 The Portland Dining Month deal was the perfect opportunity. To keep the options simple, you designate with your reservation if you will be taking the dining month deal. Then you have a choice between a 3-course Traditional Menu and a 3-Course Vegetarian Menu. Our table of four had two of each. Bread and house-made butter are a $3 add-on (they brought enough for the whole table for that price). The optional wine pairing is $18 for three generous half-glasses, one paired to each course. Antipasti course traditional: thinly sliced steak, arugula, parmesan antipasti. The vegetarian composition was of beets, avocado espuma and pistachio, which our tasters thought was even better. Primi course traditional: Cappellini pasta made with smoked eggs and smoked flour, with smoked clams and shaved cod “chorizo” on top and espelette jus. It was simply delicious. It was also artfully arranged to look like a crustacean. I would have gladly eaten a giant bowl of this. The vegetarian dish was a risotto with green garlic and meyer lemon. 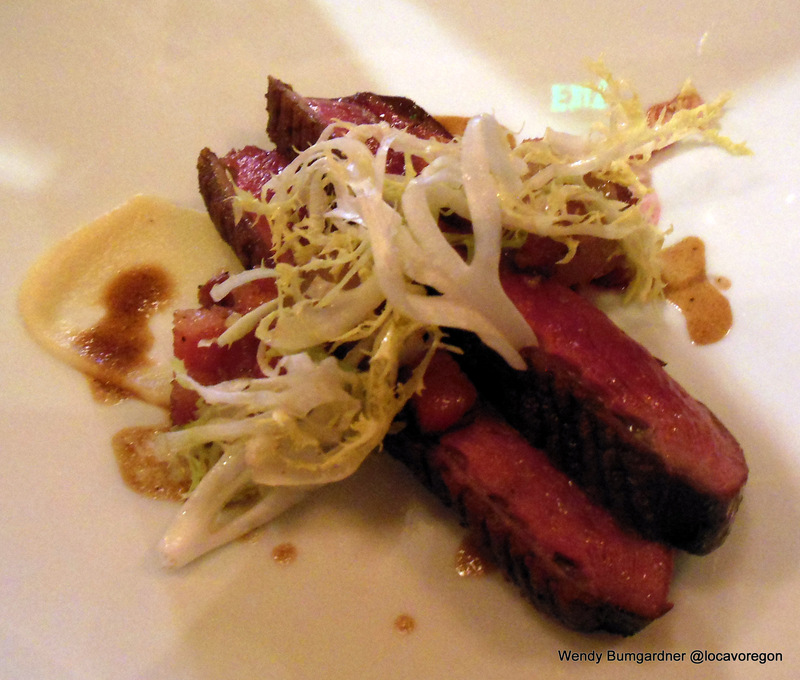 Secondi course traditional: roasted duck breast with pancetta and apple. Although the duck breast was deep red within, it was perfectly roasted. I loved every bite. The vegetarian dish was caramelized caulifower, truffle, brown butter and duck egg. Desserts were optional and they asked you to order it with your other courses. One of our number had the poached pear. I enjoyed the wine pairing. 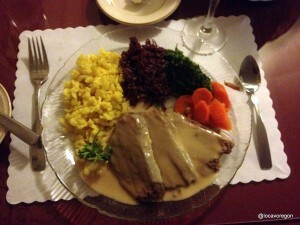 It was a delightful meal and showed that Genoa remains a great choice for an “occasion” dinner. We four ladies enjoyed the chance to dress up and be served with the whole white-tablecloth-and-crumber ambiance. While Genoa is dress-up worthy, I would say the service is still friendly and un-stuffy, while being very knowledgeable. It was a much more relaxed ambiance than I experienced at Ruth’s Chris Steak House last week, which was simply too crowded and the servers seemed a little harried. 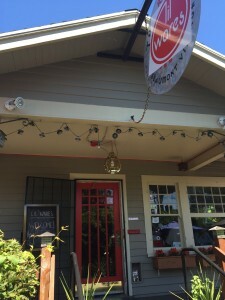 Genoa Restaurant, 2832 SE Belmont St, Portland, Oregon 97214. By now, if you haven’t heard the story of Lux the Cat, you’ve been off the grid for over a week. Baby attacks cat, cat attacks baby, daddy kicks cat, cat goes postal and corners the whole family so they have to call 911 to be rescued. Cat goes to shelter and Cat Whisperer is coming to get everybody calmed down. I was part of a similar but less-dramatic story. When my husband finally agreed that we could get a cat, within 8 hours I had a cat delivered to my house. Alia had been owned by a couple who had a baby. When Alia attacked the baby, she got sent to live with grandma. Poor Alia was used to being an indoors cat and now her life was moping around the windows hoping to be let in. She arrived at our house in a basket and as soon as the lid was opened, she calmly stepped out, found a cozy corner and fell asleep. She was a big cat, over 15 pounds. She was a long-haired half-Siamese. After adapting to us in about 30 seconds, she spend the next several years giving us love and attention. We named her Scooter because we had to scoot her out of whatever chair she was occupying if we wanted a seat. No problem, she was in our lap seconds later. While Scooter was never aggressive with us, she did hide and quake in fear whenever a child visited our house. It was obvious she had been punished for being around children, and she never forgot. Lux’s story could have a similar happy ending. I think the best thing would be for her to go to a calm household without children, where she was the only pet. After Scooter, we had a cat-free period until my hairdresser insisted that Hershey go home with me. My hairdresser had five children, two dogs and other pets. The dogs had been harassing Hershey and even broken her tail. 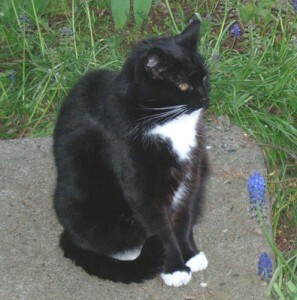 Luckily, her owner recognized that my home would be a nice, calm place where she would be happy and enrich our lives. Hershey was queen of our roost for the rest of her life. I think our next cat will come into our lives the same way. I know there are thousands who would love to rescue Lux into a nice calm household. While kittens are cute, I prefer to adopt an adult cat. They may have some violence in their past, but in a calm household they can flourish.